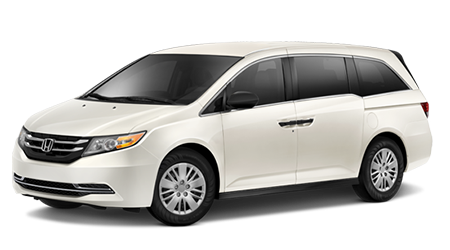 If you don't want to break open your piggy bank to get into a new Honda Odyssey, why not consider a gorgeous used Honda Odyssey? These amazing minivans have a stellar reputation, so you know a used Odyssey will be just as incredible as a new one. And our seasoned sales associates at Manly Honda in Santa Rosa, CA, are pretty incredible as well because we know how to treat the customer right. So let us offer you a rock-bottom low price on a used Honda Odyssey today so you can park one in front of your home tonight! With a late-model used Honda Odyssey, you and your family will love all the standard features that are included. A used Odyssey is powered by a robust V6 engine with automatic transmission, and includes safety features such as occupant sensing airbag deactivation, daytime running lights, a theft-deterrent system, ABS brakes and child safety locks, and comfort and convenience equipment including steering-wheel mounted controls, an AM/FM/CD stereo system, cruise control, and power windows and door locks. Of course you want complete reassurance when you're driving a used family vehicle, so consider a used Honda Odyssey from Manly Honda through our Certified Pre-Owned (CPO) program. It must adhere to strict standards, and before it even reaches certification, a used Odyssey six model years or newer and have less than 80,000 miles on the odometer. Then it must pass a rigorous 150-point inspection by factory trained technicians and be accompanied by a CARFAX history report revealing any repairs, damages or accidents. So you'll have confidence and peace of mind by purchasing a CPO Honda Odyssey. Every Certified Pre-Owned Honda Odyssey is backed by a superb 12-year/12,000-mile extension of the New Car Warranty and a 7-year/100,000-mile powertrain limited warranty that doesn't require any deductible for covered repairs. And for more confidence, you can purchase Honda Care Certified Additional Coverage, which extends the powertrain warranty to 8-years/125,000 miles and includes roadside assistance and additional systems coverage. Another perk to a CPO Honda Odyssey is a 3-month complimentary subscription to SiriusXM if your CPO Odyssey is equipped with satellite radio. Visit the Manly Honda website, fill out a short, secure four-step online application and within moments, you'll know if you're pre-approved. We'll contact you with financing options and let you know how much car you can get. Our finance team works with multiple lenders so if your credit isn't the best, we'll work hard to get you into a used Honda Odyssey that suits your family. If you're in Rohnert Park, Sonoma, Petaluma or Sebastopol and you're in the market for a used Honda Odyssey, we've got 'em at Manly Honda so step into our showroom and let's toss out some numbers!